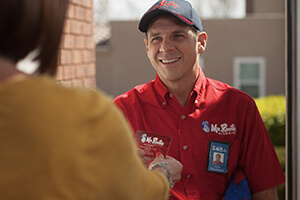 Since 1970, Mr. Rooter Plumbing has made a priority of providing the highest level of customer service, while delivering the simplest, most stress-free plumbing experience possible. Like all Neighborly brands, we are locally owned and operated. All the services are done in highest quality, vry dependable. Sal was very professional and efficient in diagnosing and fixing the problem. Nice guy to boot! Excellent. Spencer was easy to work with and a reasonable person. Prompt arrival, Did work quickly and very willing to answer all questions even those not specific to call request. Great job fixing our stopped up disposal.